You may also find it helpful to see the tenure map above. 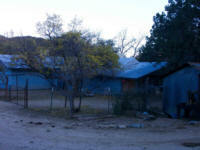 Total capacity for the entire ranch is approximately 30 animal units. This is based on the State Trust Land recommended stocking rate of 10 animal units per section. The ranch is accessible by 10 miles of paved highway 77 south from Globe. The headquarter improvements are located on the east side of highway 77 approximately ½ mile from the pavement. 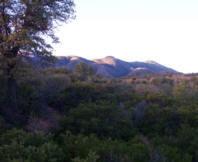 Access to the interior of the ranch is provided by numerous public and private dirt roads. Highway 77 runs from north to south through the western boundary of the ranch. 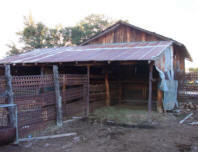 Range improvements are typical including shipping corrals and perimeter/interior fencing. Plains & Desert Grassland and Chaparral Interior Chaparral - Trees include Pinion, Juniper and Oak. 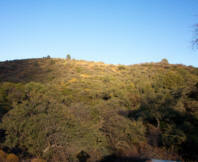 Grasses are mostly annuals and browse species include shrub oak and mesquite. Domestic water is supplied by a private well. The well is pumped with a gas driven centrifuge pump into a storage line. The well is shared with one other property. 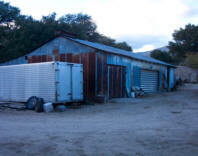 The owner reports the well is approximately 110 feet deep with a static water level around 60 feet. Springs and wells provide livestock water with one windmill located on the surface grazing portion of the ranch.